WARNING: Itraconazole must not be used with cisapride, quinidine, pimozide, dofetilide, levacetylmethadol, or methadone because very serious (possibly fatal) heart rhythm problems may occur. Also, itraconazole must not be used with felodipine, lovastatin, oral midazolam, nisoldipine, simvastatin, triazolam, or ergot alkaloids (such as dihydroergotamine, ergotamine, ergonovine, methylergonovine) because of a higher chance of serious side effects. If you are currently using any of these medications, tell your doctor or pharmacist before starting itraconazole. 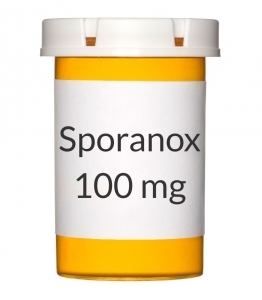 This drug should not be used to treat fungal nail infections if you have a certain heart disease (ventricular dysfunction such as current or history of congestive heart failure-CHF). Itraconazole may infrequently cause or worsen congestive heart failure. Seek immediate medical attention if you develop symptoms of congestive heart failure, such as swelling of the ankles/feet, sudden unexplained weight gain, trouble breathing, or extreme tiredness. Consult your doctor for more details. USES: Itraconazole is an azole antifungal medication used to treat a variety of fungal infections. OTHER USES: This section contains uses of this drug that are not listed in the approved professional labeling for the drug but that may be prescribed by your health care professional. Use this drug for a condition that is listed in this section only if it has been so prescribed by your health care professional. This drug may also be used to prevent certain fungal infections in patients with HIV. HOW TO USE: Read the Patient Information Leaflet provided by your pharmacist before you start taking itraconazole and each time you get a refill. If you have any questions, consult your doctor or pharmacist. Take this medication by mouth with a full meal, usually once or twice daily or as directed by your doctor. The dosage is based on your medical condition and response to therapy. Take this medication exactly as prescribed by your doctor. Some conditions may require you to take this medication for 1 week each month until therapy is completed. This medication works best when the amount of medicine in your body is kept at a constant level. Therefore, take this drug at evenly spaced intervals. If you are taking this medication on a schedule other than every day (e.g., 1 week every month), it may help to mark your calendar with a reminder. You may need to take this medication for several months to treat the infection. Continue to take this medication until the full prescribed amount is finished, even if symptoms disappear. Stopping the medication too early may result in a return of the infection. Take itraconazole 2 hours before or 1 hour after antacids. Antacids may decrease the absorption of this medication. Also, take this medication with a cola drink if you have decreased or no stomach acid (e.g., achlorhydria) or if you take drugs that decrease stomach acid (e.g., H2 blockers such as ranitidine, proton pump inhibitors such as omeprazole). Consult your doctor or pharmacist for more details. The capsule and solution forms of this medication deliver different amounts of medication and may be used for different purposes. Do not switch between the capsule and solution forms without your doctor's permission and directions. Inform your doctor if your condition persists or worsens. SIDE EFFECTS: See also Warning section. Nausea/vomiting, diarrhea, gas, headache, dizziness, or stomach upset may occur. If any of these effects persist or worsen, notify your doctor or pharmacist promptly. Remember that your doctor has prescribed this medication because he or she has judged that the benefit to you is greater than the risk of side effects. Many people using this medication do not have serious side effects. Tell your doctor immediately if any of these unlikely but serious side effects occur: signs of infection (e.g., fever, persistent sore throat), trouble breathing, unusual tiredness, swelling ankles/feet, burning/painful/frequent urination, decreased sexual interest/ability, hair loss, muscle cramps/pain, weakness, fast/irregular heartbeat, mental/mood changes (e.g., depression), enlarged breasts in men, ringing in the ears, temporary or permanent hearing loss. Tell your doctor immediately if any of these rare but very serious side effects occur: numbness/tingling of the hands/feet. Itraconazole has rarely caused very serious (possibly fatal) liver disease. If you notice any of the following highly unlikely but very serious side effects, stop taking itraconazole and tell your doctor immediately: yellowing eyes/skin, dark urine, persistent nausea/vomiting, stomach/abdominal pain. A very serious allergic reaction to this drug is rare. However, seek immediate medical attention if you notice any of the following symptoms of a serious allergic reaction: rash, itching/swelling (especially of the face/tongue/throat), severe dizziness, trouble breathing. Itraconazole can commonly cause a mild rash that is usually not serious. However, you may not be able to tell it apart from a rare rash that could be a sign of a severe allergic reaction. Therefore, seek immediate medical attention if you develop any rash. This is not a complete list of possible side effects. If you notice other effects not listed above, contact your doctor or pharmacist. In the US - Call your doctor for medical advice about side effects. You may report side effects to FDA at 1-800-FDA-1088. In Canada - Call your doctor for medical advice about side effects. You may report side effects to Health Canada at 1-866-234-2345. PRECAUTIONS: See also Warning section. Before taking itraconazole, tell your doctor or pharmacist if you are allergic to it; or to other azole antifungals (e.g., ketoconazole); or if you have any other allergies. This product may contain inactive ingredients, which can cause allergic reactions or other problems. Talk to your pharmacist for more details. Before using this medication, tell your doctor or pharmacist your medical history, especially of: liver disease (or history of liver disease with other drugs), kidney disease, heart disease (e.g., coronary artery disease, heart valve disease, congestive heart failure), severe lung disease (e.g., chronic obstructive pulmonary disease-COPD), high blood pressure, decreased or no stomach acid (e.g., achlorhydria). This drug may make you dizzy. Do not drive, use machinery, or do any activity that requires alertness until you are sure you can perform such activities safely. Avoid alcoholic beverages since they can increase the effects of dizziness and also increase the risk of serious liver problems. Older adults may be at greater risk for hearing loss while using this drug. During pregnancy, this medication should be used only when clearly needed. It may harm an unborn baby. Discuss the risks and benefits with your doctor. This medication should not be used to treat fungal nail infections if you are pregnant or could become pregnant during treatment. Women of childbearing age should start this medication 2 to 3 days after the start of their periods to make sure that they are not pregnant. Consult your doctor for more details and to discuss reliable forms of birth control. It is recommended that men and women using this medication use two effective forms of birth control (e.g., condoms and birth control pills) while taking this medication and for 2 months after stopping it. Itraconazole passes into breast milk. Consult your doctor before breast-feeding. DRUG INTERACTIONS: See also Warning and How to Use sections. Your doctor or pharmacist may already be aware of any possible drug interactions and may be monitoring you for them. Do not start, stop, or change the dosage of any medicine before checking with them first. This drug should not be used with the following medications because very serious interactions may occur: alfuzosin, certain benzodiazepines (e.g., oral midazolam, triazolam, alprazolam, estazolam), conivaptan, eletriptan, eplerenone, ivabradine, ranolazine, vardenafil. If you are currently using any of these medications listed above, tell your doctor or pharmacist before starting itraconazole. Before using this medication, tell your doctor or pharmacist of all prescription and nonprescription/herbal products you may use, especially of: amiodarone, calcium channel blockers (e.g., verapamil, nifedipine), drugs affecting liver enzymes that remove itraconazole from your body (such as macrolide antibiotics including erythromycin; cimetidine; isoniazid; rifamycins including rifabutin; efavirenz; nevirapine; certain anti-seizure medicines including carbamazepine; phenytoin). This drug can slow down the removal of other drugs from your body by affecting certain liver enzymes. These affected drugs include certain antiarrhythmic medications (e.g., disopyramide, digoxin), certain chemotherapy drugs (e.g., busulfan, docetaxel, vinblastine, sunitinib, lapatinib, dasatinib), certain benzodiazepines (e.g., diazepam, injectable midazolam), certain immunosuppressants (e.g., tacrolimus, cyclosporine, sirolimus), certain "statin" drugs (e.g., atorvastatin), HIV protease inhibitors (e.g., indinavir, ritonavir, saquinavir), halofantrine, alfentanil, fentanyl, solifenacin, buspirone, repaglinide, certain glucocorticosteroids (e.g., dexamethasone, budesonide), certain drugs to treat erectile dysfunction-ED or pulmonary hypertension (e.g., sildenafil, tadalafil), trimetrexate, aripiprazole, trazodone, tolterodine, "blood thinners" (e.g., warfarin), and cilostazol. This document does not contain all possible interactions. Therefore, before using this product, tell your doctor or pharmacist of all the products you use. Keep a list of all your medications with you, and share the list with your doctor and pharmacist. NOTES: Do not share this medication with others. This medication has been prescribed for your current condition only. Do not use it later for another infection unless told to do so by your doctor. A different medication may be necessary in that case. Laboratory and/or medical tests (e.g., liver function tests) should be performed periodically to monitor your progress or check for side effects. Consult your doctor for more details.